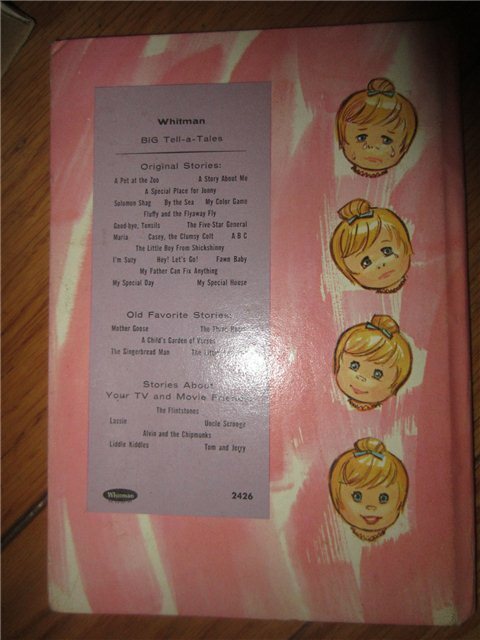 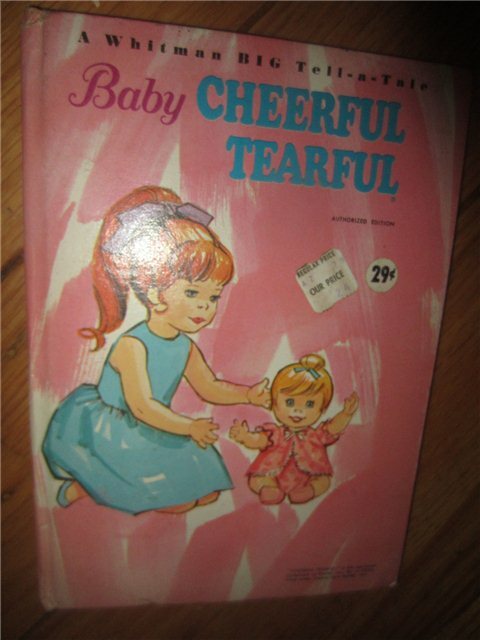 A 1968 edition of the Whitman Tell-A-Tale book Baby Cheerful Tearful. 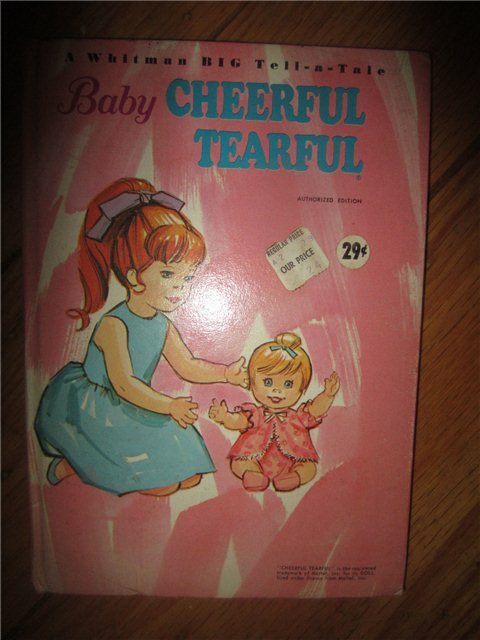 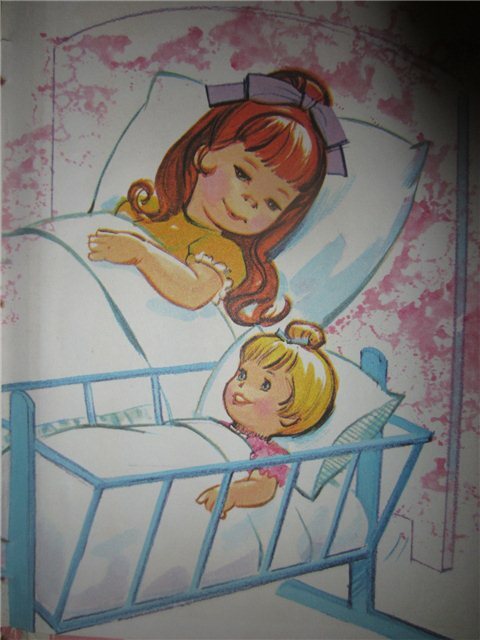 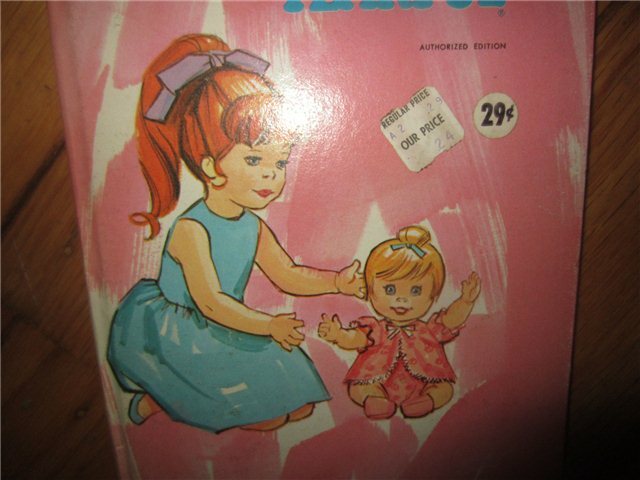 It is a story of a little girl and her Baby Cheerful Tearful doll, a vintage toy from the 1960's. 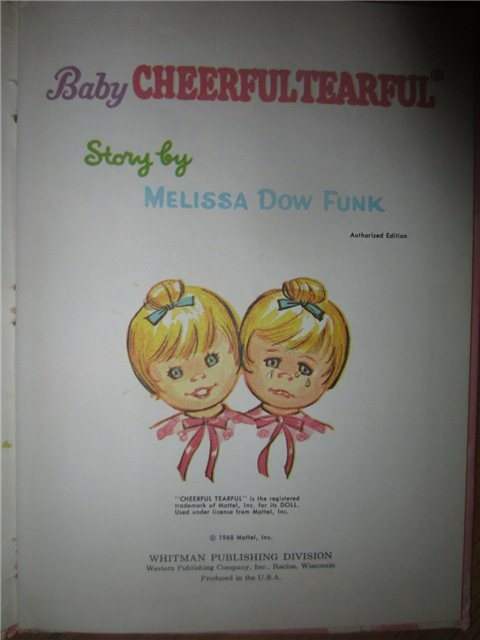 The book is a hardcover in OK condition.